If you live in Romania and want to know more about playing at an online casino, you have come to the right place. We explain more about Romania’s online gambling laws and where Romanian residents can play for the chance to win real money at a trusted online casino site. Romania has an interesting history when it comes to gambling, with all forms of gambling banned between 1945 and 1989 when the country was part of the Soviet Union’s repressive communist government. Since operating under a democratic government in the 1990’s, gambling was once again made legal in the country. Romania has worked hard to establish a clear legal framework regarding online gambling, legalising online gambling in the country in 2013, but the new laws are not without their critics. Romania’s online gambling laws have come under fire from the EU for multiple reasons, including the high level of corruption happening within its gambling industry and its questionable tax schemes. Gambling in Romania is regulated by the National Gambling Office (ONJN), an organisation responsible for overseeing all aspects of the gambling industry while holding the power to issue or revoke licenses for online gambling operators. The major piece of legislation covering online gambling is the Government Emergency Ordinance no. 20/2013 which was amended in 2013 to clarify the functions of the ONJN, giving the Office authority to provide licenses to online casinos, online bingo rooms, online keno services and all forms of land based gambling activity. When Romania was first given the power to issue online gambling licenses, vendors seeking approval were required to pay back taxes of 20% of the revenue they had earned from Romania punters in the previous five years. Can I gamble legally online in Romania? 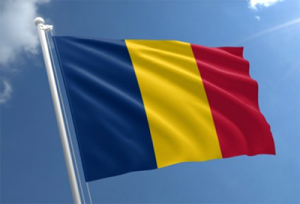 While Romanians can enjoy legal online gambling, the catch is that a casino site must hold a Romanian gambling license in order to offer services to Romanian residents. This means playing at an offshore casino (one that is licensed in a foreign jurisdiction without approval from Romania) is technically illegal. The Romanian government has done its best to show just how serious they are about restricting offshore casino sites by creating an online gambling blacklist that restricts upwards of 48 casino sites from being accessed by Romanian residents. Under Romania’s gambling laws, a player can technically be prosecuted for playing at an unlicensed casino site, with minor fines imposed for unlawful gambling activities. However, given that these laws are incredibly difficult to enforce there has been no record of a player being fined for playing at an online casino that has legal licensing from an offshore jurisdiction. Many reputable offshore casinos continue to offer services to players from Romania, operating under the strict laws set by their country of jurisdiction, so it is up to the individual to choose to risk playing at an offshore casino site. If you do decide to play at an offshore casino, remember it is your personal responsibility to be aware of the laws that apply to you and understand you are playing at your own risk. We highly recommend using a VPN (virtual private network) to get around region-blocks and to provide an extra layer of security when gambling online. If you choose to play at an offshore casino that is operating without a license from the Romanian National Gambling Office, it is imperative you choose a venue that is licensed by a reputable gambling jurisdiction, like the UK, Malta, Isle of Man, Curacao, Alderney or Kahnawake. These licensees operate outside of Romania’s laws, under strict rules and regulations that are designed to keep the online gambling industry free from criminal activity and ensure player safety and fairness at all times. Slots Million – If you’re a fan of the slots, this is the casino for you. Slots Million hosts over 1,800 slot games from all the best software providers in the online casino business, including NetEnt, Microgaming, BetSoft, iSoftBet, Play’n Go, Playtech and tonnes more. All games are available to sample for free in practice mode, or to play for real money bets. You can search by game title, game studio, game theme or even game feature, making Slots Million one of the most user friendly casino sites for online slots. Jackpot City – Jackpot City is powered exclusively by Microgaming, one of the most trusted names in online casino software. You’ll find a large selection of slots and table games here, including live dealer games and a comprehensive range of blackjack, roulette and video poker variants. Jackpot City offers a daily promotions calendar, where registered players can take advantage of different bonus offers every day of the week. Games are available for instant-play directly over your Web browser or by downloading the premium JPC casino software. BetOnline – It may not be the most attractive online casino available, but BetOnline caters to a wide market, accepting players from Romania with licensing from the Government of Panama. BetOnline offers slots and table games from BetSoft, one of the leaders in online casino software, especially when it comes to 3D gaming. You’ll find a good range of slots and table games available here, with payments accepted in USD only. The payment options available at online casinos vary between vendors. Common trusted deposit options at online casinos include Visa, MasterCard, Neteller, Skrill, Paysafecard, ecoPayz, Flexepin, Entropay and direct bank transfers. Note that due to Romania’s laws restricting offshore casino sites, deposits using traditional payment methods like credit cards or bank transfers may not be possible, as payment providers may block gambling related transactions. Always check the payment terms and conditions of an online casino or speak to the venues customer service team via live chat for further information about the payment options available to you before signing up for an account. Want to play at an online casino site in Romania? We recommend playing at a reputable site with legitimate offshore licensing and always using a VPN to get an extra layer of security.